ArenaNet released two blog posts relating to Heart of Thorns, discussing the new legendary weapons as well as upcoming economy changes. ArenaNet have announced a lot of new content and systems, and most of them affect the balance of the game in one way or another. The game is about to change a great deal, and that means the economy is going to be impacted. The amount of materials it takes to make a precursor, anyone who has crafted enough rare items to understand the pattern of precursor creation has a good idea of the quantity of materials involved. In the new system, the number is no longer variable, but it’s still immense. Precursor crafting maintains the scarcity of a large quantity of important items in the economy, and ArenaNet made efforts to partially preserve that relationship. For most materials in the game is important and some of them are scarcity, ArenaNet have reached a nice equilibrium, and the change of systems is really going to throw a wrench into that. “We’re reducing what you get from playing” caught my attention, it seems a little strange. I’ve no doubt that Heart of Thorns will bring with it new loot and new ways of obtaining that loot. Despite keeping a heavy sink of materials in the new endgame weapon journeys, the changes were nowhere close to balancing the current numbers. To help get us closer to where we want to be, ArenaNet’ll simultaneously roll out changes to the salvaging of some materials. Some of these changes will reduce output to help us maintain scarcity, and some will rebalance heavily input materials with more rare materials to help even out some of the variation of scarcity we currently have. Over the last couple of years, dungeons have been a major part of the game’s economy; between unique armor and liquid rewards, they’re often farmed. In the expansion, they’ll move away from this paradigm. As the game progressed, ArenaNet shifted focus from dungeons to fractals and raids. As a part of that process, ArenaNet’ll shift some rewards away from dungeons and into other pieces of content. While dungeons will remain cool experiences that’ll reward players with unique items, their liquid rewards will be reduced and other content will become more rewarding. The shift in rewards is a direct representation of our focus on raids and fractals and our commitment to make them the best they can be. Map rewards are specific, tangible rewards you receive from playing on a map. They allow players to balance overpriced items as well as seek specific materials for their personal goals without constant uncertainty. Map rewards are pretty great but are a constant enemy of scarcity. Map-reward materials can no longer be overpriced for any extended period of time because players now have the power to push the supply when needed. This shifts the power from the supplier of a rare good to the buyer, because the buyer now has the option to refrain from buying and still achieve goals. The expansion will address the rebalancing of some resources to help correct some of those markets. Keep an eye out upon the expansion release for the rebalance. The combination of our changes and our new systems is sure to make everything go a little wild, but it should not be completely unpredictable from a player perspective. There will be a lot of opportunity for fun and profit for the extremely savvy. As for the Legendary Weapon blog post, there’s going to be three on launch (or just after) consisting of a staff, pistol and axe. The others will come along shortly afterwards. 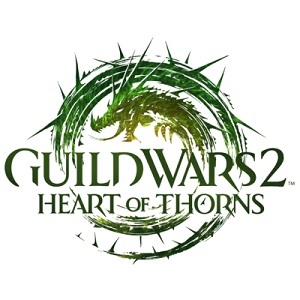 Unlike the existing system, it looks like players will truly have to play all aspects of Guild Wars 2 including sPvP. It sounds great. Legendary items with the new system will be a huge undertaking, rather than just a gold rush and I think that’s very welcome. This entry was posted in Computers and tagged Guild Wars 2 Economy Detailed, Guild Wars 2 New Legendary Weapons by mmosky. Bookmark the permalink.